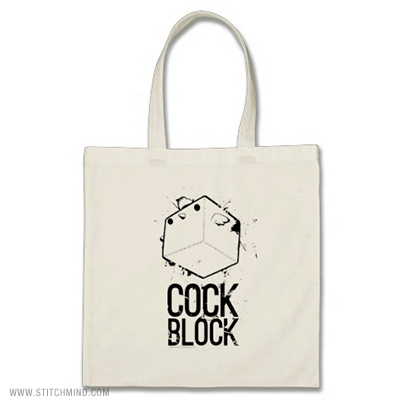 Tote bag featuring black and white Cockblock design. With a slim, fashionable design, and colored handles, this tote is environmentally friendly and truly is a great value. Totes are great as presents or giveaways. Made from 100% cotton and has strong handles with reinforced stitching. Dimensions: 15.75″h x 15.25″w.